Alright kids, today is the day if you want to buy yourself tickets to OFFICIAL ACL after-shows this year. Tickets went on sale this morning at 10am Austin time, so if you wanted to catch David Byrne at the Paramount Theatre...you're too late. That's right the box office has been open an hour, which means the hottest tickets are all gone, or close to it. I spent a bunch of money but I bought a ticket for all the shows I was even mildly interested in seeing. Except for Black Keys tickets, I didn't buy any for that show 'cause I bought a ticket for the Conor Oberst, M. Ward and Jenny Lewis show, which is on the same night, on the other side of town. I did, however, pick up a ticket for the Gnarls Barkley/CSS show AND a ticket for Jamie Lidell with Black Joe Lewis and the Honey Bears. Even though those shows are on the same night. Their start times are two hours apart and the venues are pretty close to each other so I'm hoping it all works out nicely. If you didn't know anything about ACL after parties I recommend you click this link. 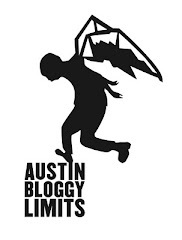 Don't worry if you didn't get tickets to any after parties, you can still buy tickets for the actual Austin City Limits fest for a mere $80/day. Also, I expect a lot more after-parties. None of the official parties are at Transmission Entertainment events, which means you can expect a wave of blog-sponsored parties at the Mohawk, Club DeVille and others. In fact I know for sure that Sunset Rubdown will be doing a show at the Mohawk the Saturday night of ACL fest. Technically Sunset Rubdown isn't even playing ACL so I guess it's not really an after show...but you get the point. Oh and by the way one of my favorites of the year, Cut Copy will be playing Emo's the Monday after ACL. Woo Hoo am I excited or what? 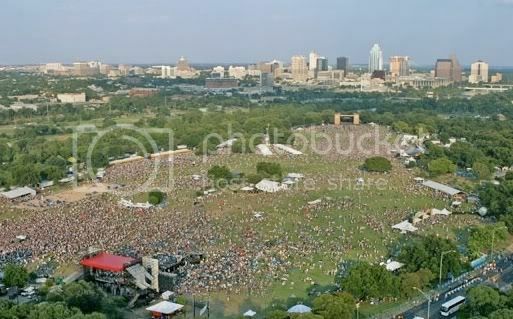 And I'm not even going to the official ACL festival haha.